Stainless Steel. 5 Spoke for sturdy trouble free operation. 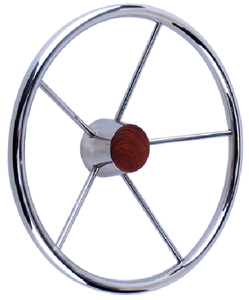 description - Stainless steel with genuine teak cap.